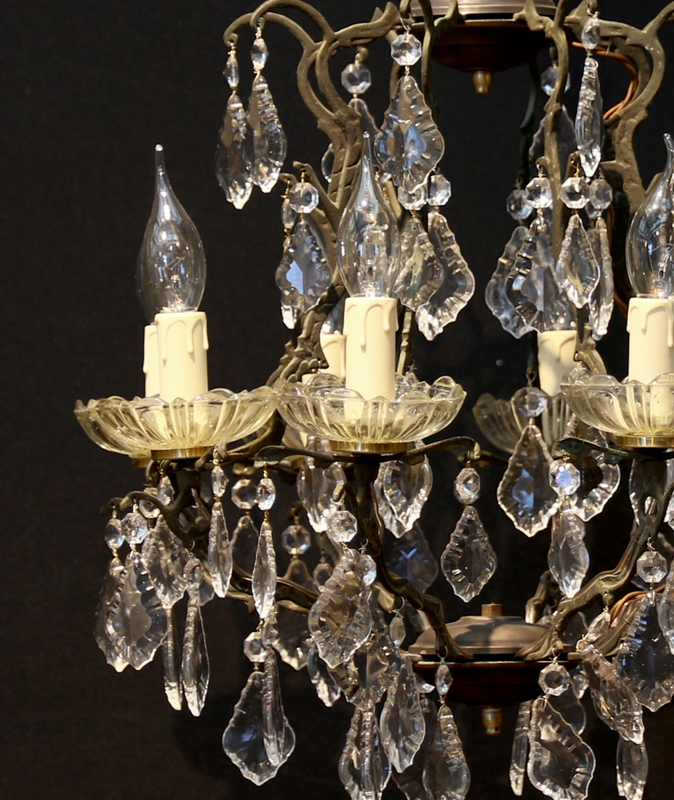 An early 20th century chandelier with eight lights, nice glass wax saucers and lovely crystals. A very very pretty light. 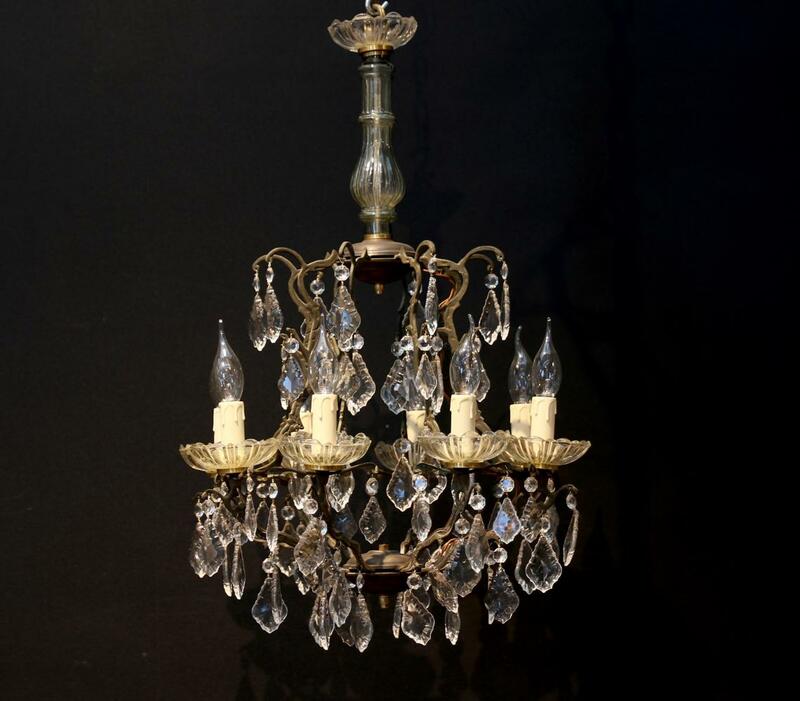 If you are interested in this piece or would like more details please call us on +64 9 529 1660 or email info@js.co.nz quoting #105-94.